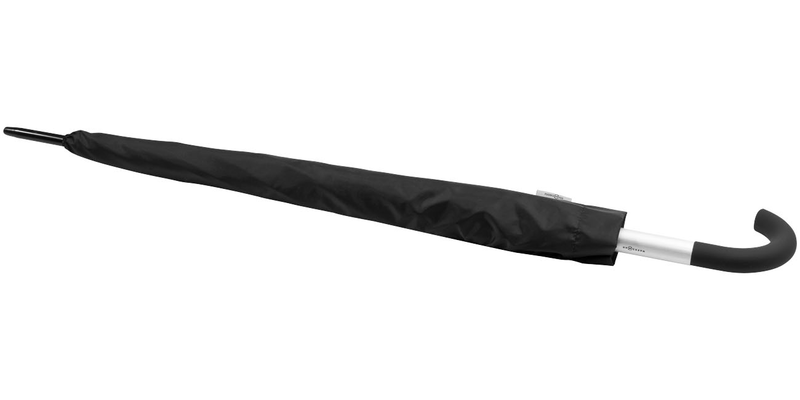 23'' Arch automatic umbrella. 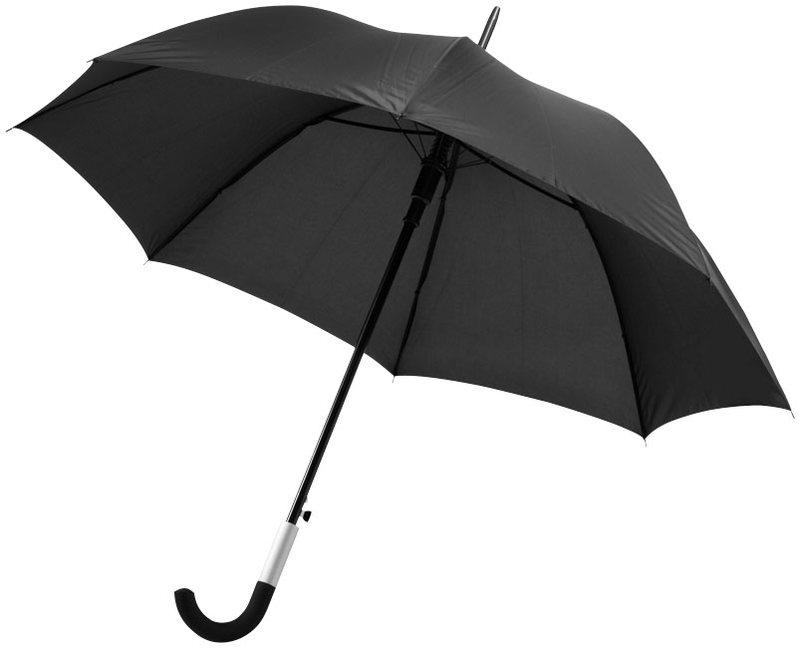 Exclusive design umbrella with automatic open function. Metal shaft and frame. 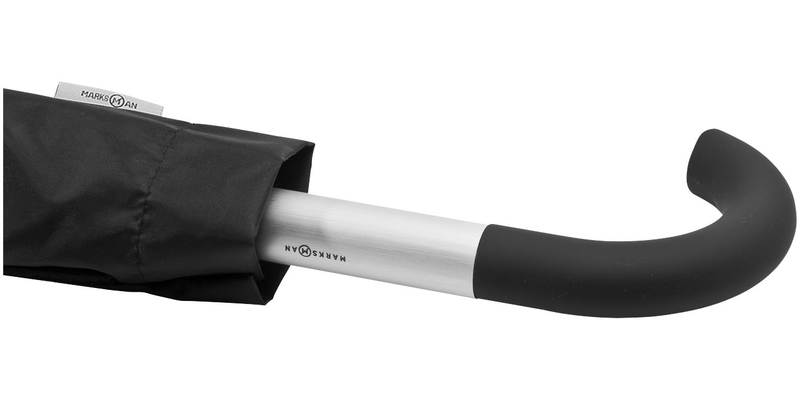 Rubber coated crook handle with aluminium detail. Special design handle to hang the umbrella on your table. Pongee polyester.